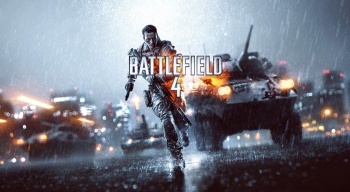 As with Battlefield 3, EA is offering a Premium service for Battlefield 4 which offers a discounted price on the game's inevitable expansion packs alongside a number of other extras. Battlefield 4 Second Assault - Includes four fan-favorite Battlefield 3 maps now re-imagined with the power of Frostbite 3. Available first on Xbox One. Battlefield 4 China Rising - Players fight for dominance across the vast and majestic Chinese mainland. Available December 2013. Battlefield 4 Naval Strike - Experience dynamic ocean combat as the Chinese armada takes the fight to the sea. Available Spring 2014. Battlefield 4 Dragon's Teeth - The US strikes back engaging in all-out urban warfare. Available Summer 2014. Battlefield 4 Final Stand - Bring the war to its epic conclusion. Available Summer 2014. Further, EA has also announced a new beta test for Battlefield 4, which is slated to begin in "early October." This test will be offered exclusively to owners of Battlefield 3 Premium, those who have pre-ordered the Digital Deluxe edition of Battlefield 4 and owners of Medal of Honor Warfighter Digital Deluxe and Medal of Honor Warfighter Limited Edition. "But what if I buy Battlefield 4 for the Xbox 360, then purchase an Xbox One and want to play the game on that new console?" EA has you covered there. According to the publisher, if you find yourself upgrading systems your Battlefield 4 stats and Premium membership will transfer to the new version of the game. Expect more information on those expansion packs to appear as we near their respective release dates.